Behind the Salon is an independent haircare line under the YUKO brand. Products are distributed wholesale to salons and also available for retail sale. All products are sulfate free with natural ingredients. 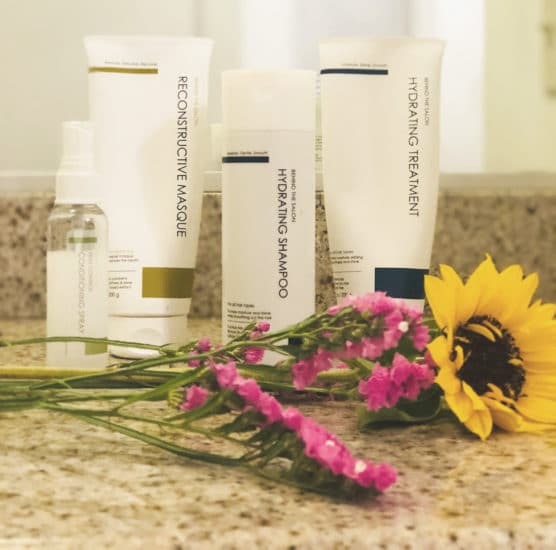 The purpose of the hair care line is to allow consumers to obtain a salon experience from the comfort of their own homes. Yuko are the originators of the Japanese Hair Straightening System. The system works by breaking down hair bonds through a chemical process. Hair is then straightened to leave it pin straight, however, the process is tedious and timely. Yuko has perfected the process to protect, condition, and restore damaged hair. This Yuko Hair Straightening system has been patented in the United States, United Kingdom, and Japan. I have yet to find the perfect shampoo and conditioner duo that makes my hair silky smooth and manageable. A majority of hair products damage your hair due to the chemicals added that create it’s fragrance. For me, my main concern is dryness and frizzing. 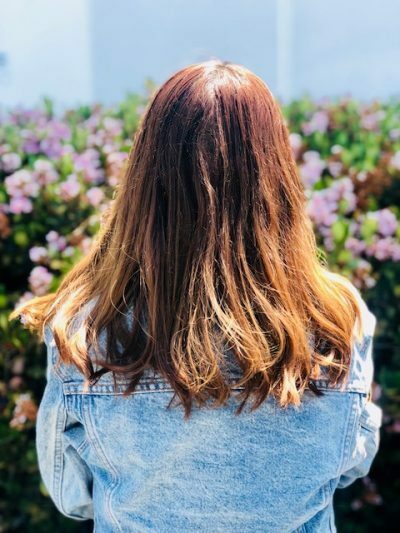 I was lucky enough to be gifted a few products from the Behind the Salon line to try out--the Hydrating Shampoo, the Reconstructive Masque, the Hydrating Treatment, and a travel sized bottle of the Frizz Conditioning Spray. These products lasted me a little over a month. During this trial period, I tried to abstain from washing my hair every day to monitor the results. I only washed my hair every day if I worked out that night. Just from the names of the products, I became hopeful that these could help tame my hair. Here’s more about each product and how it works its wonders. 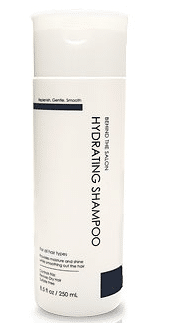 The Hydrating Shampoo is for all hair types of hair (even color treated) and its purpose is to provide moisture, and shine. This shampoo is sulfate and gluten free. It works by not only cleaning scalp and hair, but creating a protective coating that manages frizziness and creates luster. The fragrance is absolutely lovely. When I first tried it, I smelled subtle notes of cherries. After reading the label, I found that the shampoo is infused with cherry blossom leaf extract. I am not a big fan of overpowering shampoo scents so I was very pleased with this one. 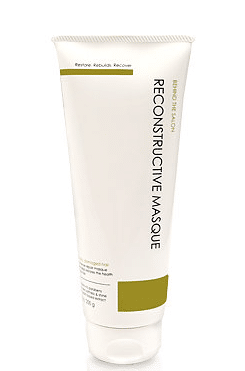 The Reconstructive Masque is a unique product due to its versatility. The key ingredient is Meadowfoam seed oil and the fragrance is also very subtle and gave off a floral scent. The formula has the consistency of a traditional conditioner but not as slimy. The masque has two methods of use; conditioner or hair masque. Method 1 - Conditioner: To use, apply a quarter size amount and run conditioner from scalp through ends of hair, and let sit for 2 minutes. Method 2 - Masque: After shampooing hair, brush strands out and apply masque to mid-shaft of hair. Next, put your hair up in a bun and cover head for 20 minutes with a hair cap. The heat from the hair cap activates the oil and the oil seeps into your hair follicles to generate shine and sleek hair. Then, rinse hair and let air dry or blow dry. I tried both methods and I was pleased with both procedures. I personally do not have much time so I prefer to go with method 1. Method 2, however, left my hair with a very soft touch. The Hydrating Treatment is similar in smell to the Hydrating Shampoo containing cherry blossom leaf extract. The treatment also is infused with camellia oil. 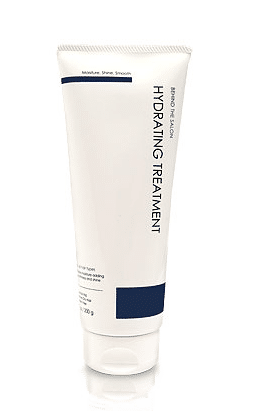 The purpose of the Hydrating Treatment is to restore moisture in your hair by replenishing it with nutrients. Application of the treatment will leave your hair shiny and smooth. To use treatment, apply a small amount to mid-shaft and run through ends of strands. Let sit for 2 minutes, then rinse out. 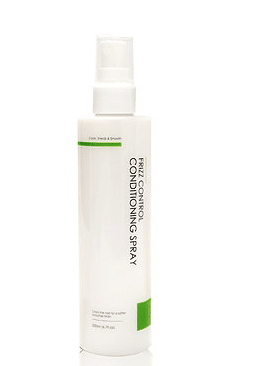 The Frizz Control Conditioning Spray helps tame frizzy hair by locking in moisture to activate shine. The spray smells like the cherry leaf extract as well. It can be used on wet or dry hair. I prefer to use it when my hair is mildly wet. For application, just spray your hair and brush or blow dry to your preferred style. After testing these products for a month, I noticed that my hair appeared sleeker and shinier. It was also easier to comb through after my shower and did not get tangled as much throughout the day. My favorite product would have to be the Frizz Control Conditioning Spray because frizzy hair is one of my main problems. I would recommend these products to anyone that has become frustrated with their unmanageable hair. Knowing that this product contains natural ingredients and is free of sulfates is reassuring. After browsing Behind the Salon's website, I am interested in purchasing more of these products and want to try the Frizz Control Serum. If you're interested like me, you can to browse their online store to find the products that are right for you. To find a salon in your area that uses and carries Yuko products, check their salon locator. Enter Our Instagram Contest For a Chance to Win a Set of Behind the Salon Products! Follow @agirlinla and @yukohairstraightening on Instagram (we will check). Tag at least 3 friends. One winner will be notified via IG Messenger. Which Beyond the Salon products are you most excited to try? Comment below!